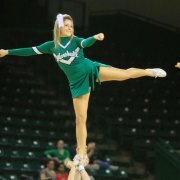 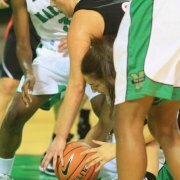 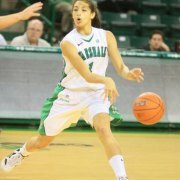 HUNTINGTON, W.VA. – Marshall women’s basketball earned their second win in a row as the Herd knocked off Nebraska-Omaha 54-48 on Sunday afternoon in the Cam Henderson Center. 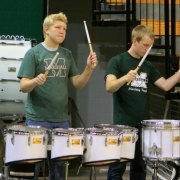 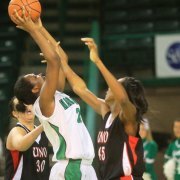 The Herd improved to 3-2 with the victory, while UNO dropped to 3-3. 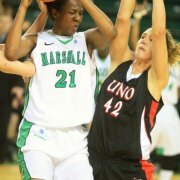 Resilient defense proved to be the difference in the end as Marshall used 18 steals in the game to close out a competition that was led by the Mavericks with seven minutes left in the game. 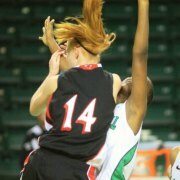 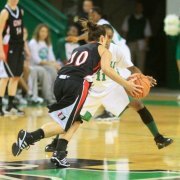 At the end of the game, Marshall was led in steals by Alaya Mitchell, who totaled six during the contest. 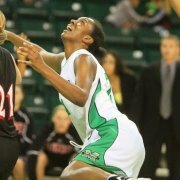 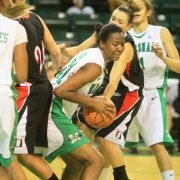 Shynisha Johnson led the team in points for the fourth time this season after finishing the game with 14. 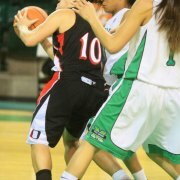 She opened up the game going 4-for-4 from behind the arc and finished with two steals. 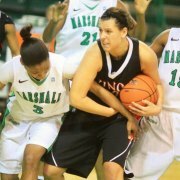 Leandra King recorded her first double-double of the season, totaling 13 points and 11 rebounds. 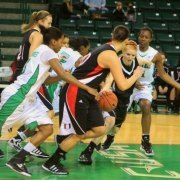 The junior center earned nine points from the free throw line and recorded a block and two steals during the contest. 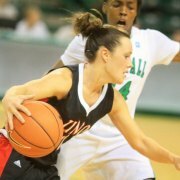 “Leandra took advantage of her opportunities down in the blocks with offensive rebounds and she took care of the glass for us,” commented head coach Royce Chadwick on King’s effort after the game. 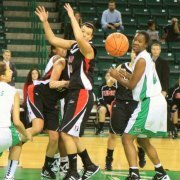 The opening minutes of the game was a three-point battle between the two programs. 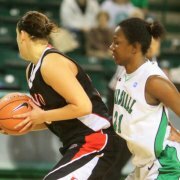 The Mavericks started the game with three from beyond the arc, while Marshall began with four three-pointers to get things going in the first eight minutes. 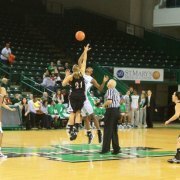 Johnson accounted for all the three-pointers and her effort helped Marshall jump to a 20-15 lead. 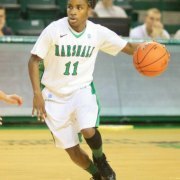 Suporia Dickens entered the game in the following minutes and added six points off the bench and grabbed two rebounds to extend the Marshall lead to 29-18 after Marshall went on a 15-3 run. 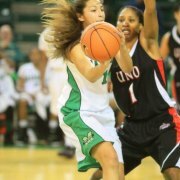 The Herd went into the locker rooms with a 31-21 lead over UNO. 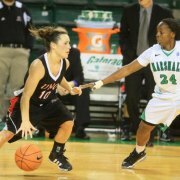 At the half, Marshall had already recorded 12 steals and forced the Mavericks to turn the ball over 18 times. 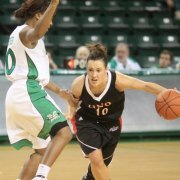 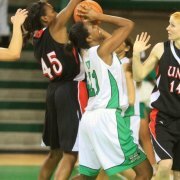 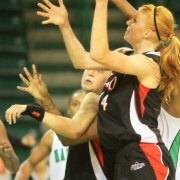 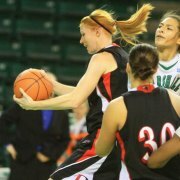 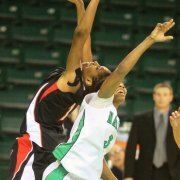 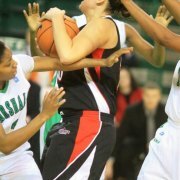 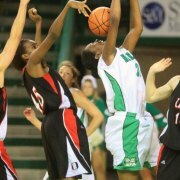 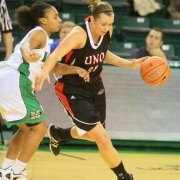 UNO started the second half strong and trimmed the Marshall lead to 36-35 in the first seven minutes of play. 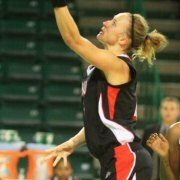 Nebraska-Omaha’s Heather Pohl helped the Mavericks in the beginning of the second half by posting five points, two rebounds, a steal, and an assist. 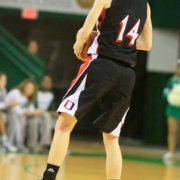 After a string of fouls sent both teams to the free throw line, the score was tied at 41-41 with eight minutes left in the game. 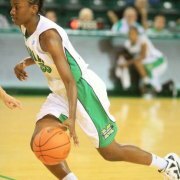 Erica Woods helped the Herd steal the lead back after making two lay-ups in a row and Victoria Wells extended the run to 47-42 after making a lay-up as well. 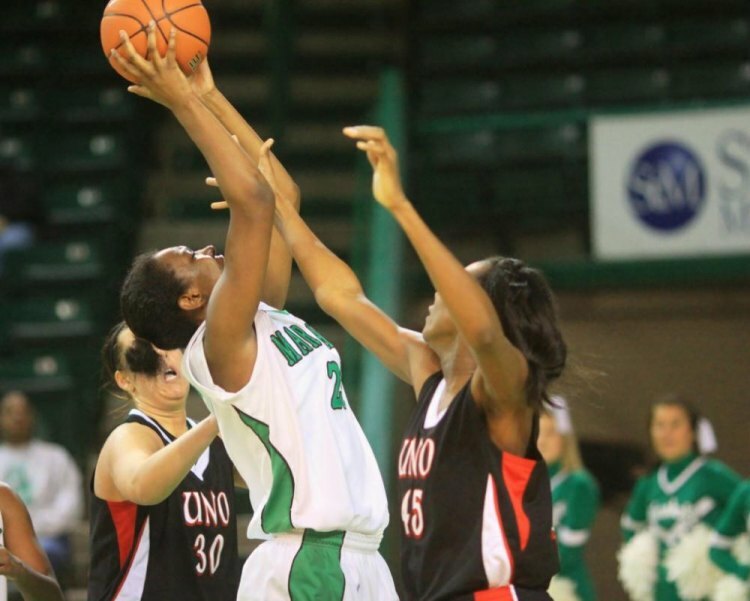 With 1:25 left on the clock, King secured the win with two clutch free throws and Rahedah Henriques added insurance with another free throw to make the final score 54-48. 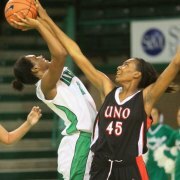 The Herd defense limited UNO to only 25 percent from the field and a forced the Mavericks to make only 1-of-9 three-pointers in the second half. 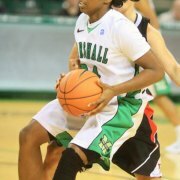 Marshall’s defense accumulated six steals in the final period to help push for the win.